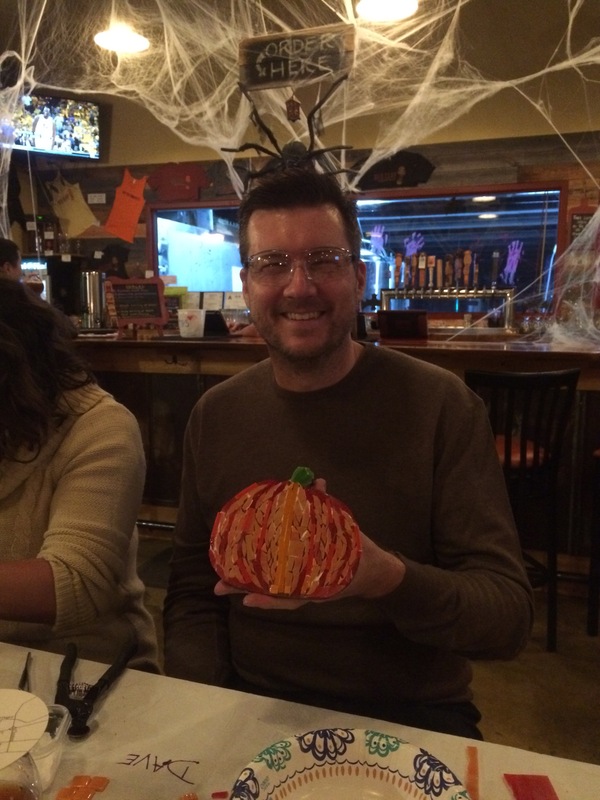 On Thursday, November 30th, I had a great class for 20 fun loving, creative students. We made 2 mosaic Christmas ornaments each. 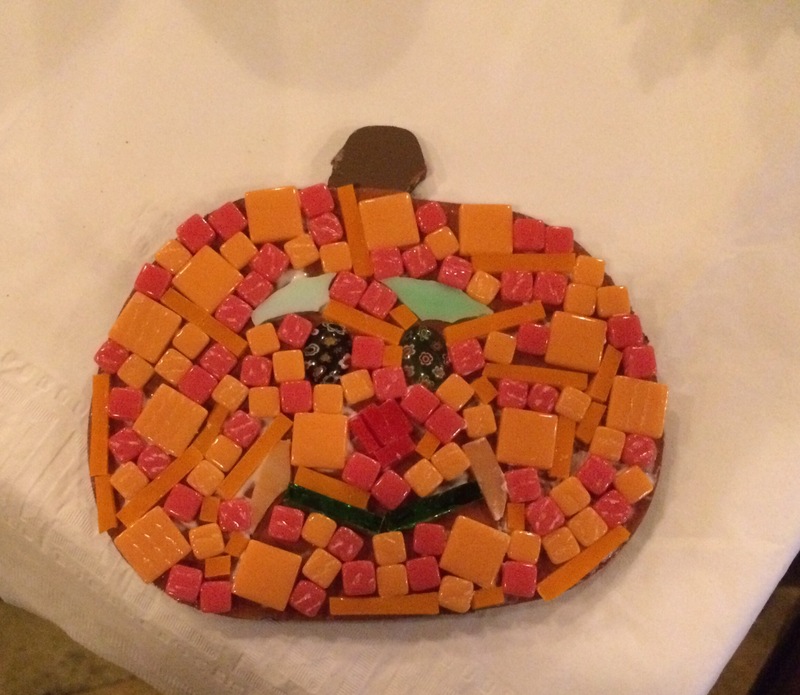 It was so much fun to see what each of the students made. They were all wonderfully creative and different. Here are some of the ornaments that they made. 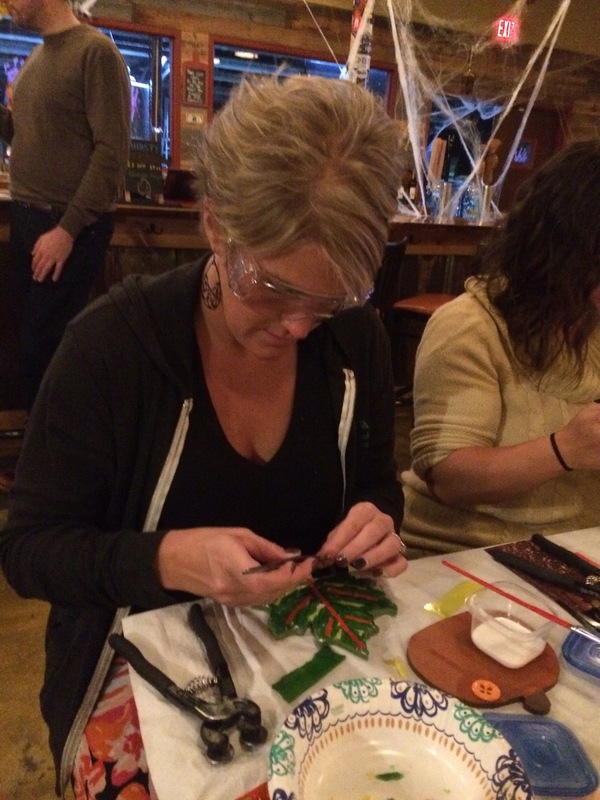 Once your glue is dry, you will grout your project. You can buy grout at Lowes or Home Depot. You want to buy a sanded grout. The premixed is not as good as the dry. 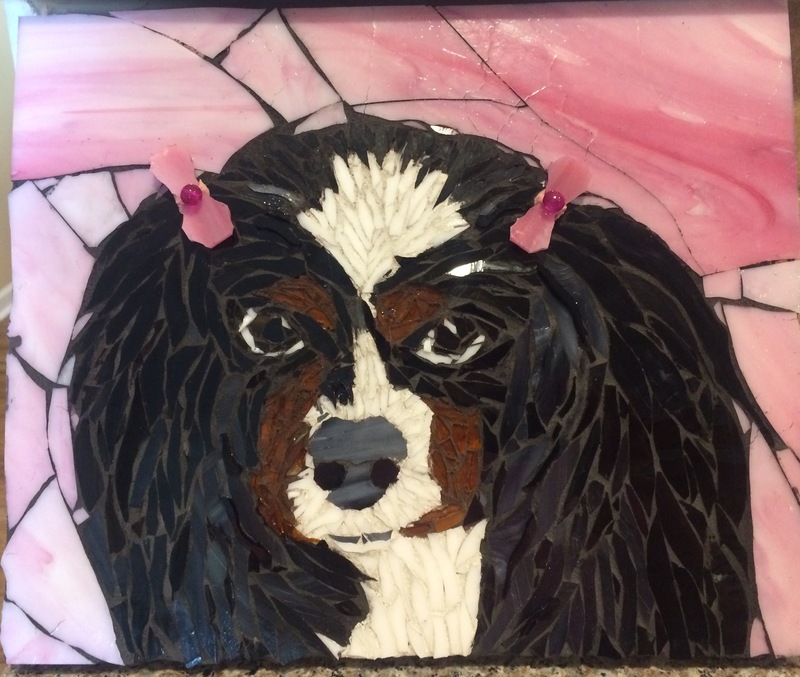 For glass on glass projects, I usually use the charcoal grout from Home Depot. Home Depot and Lowes both have charcoal but the Home Depot version is darker and closer to black. Always wear a mask when mixing grout. You do not want to breathe the grout dust into your lungs. Start with a smaller amount of water and add more as needed. You want it to be thick like peanut butter consistency. Once you have it at the right consistency, cover with a damp paper towel and let it sit for 10 minutes before using. There is a chemical reaction that has to happen in that time. When it finishes slacking during this 10 minutes, it will be almost cookie dough consistency. Stir it up again after the 10 minutes has passed. Once it is ready, spread it over your glass, filling all of the gaps. Let it sit for a few minutes until there is a haze over the grout. Then wipe it off with paper towels first. Then continue wiping gently until the majority of the grout is off of the glass. I will let it sit for about 15 – 20 minutes after this so it dries some. Then you can use a paintbrush to brush off the dry sandy grout. After a few hours, you can buff your glass with a soft cloth. If needed, I use Qtips dipped into a vinegar water mixture to clean the glass. I mix the vinegar and the water 50:50. This will shine and thoroughly clean the glass. Buff it well with a soft cloth. 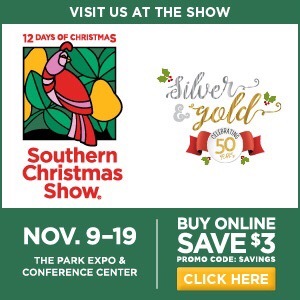 Southern Christmas Show is one month away! Discount tickets available. 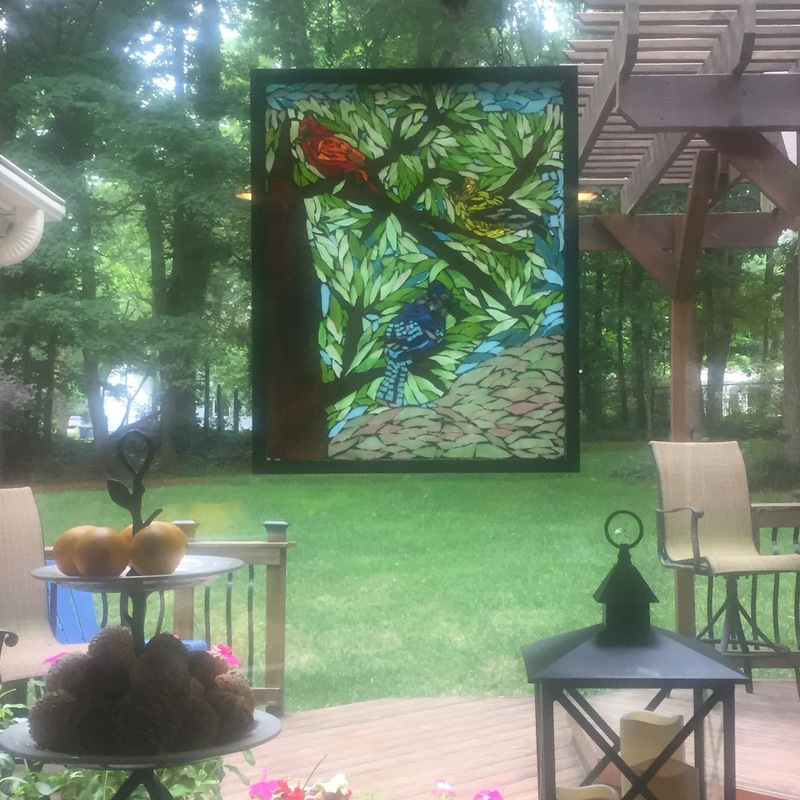 I am excited to be bringing my stained glass mosaic art to the Southern Christmas Show in Charlotte, North Carolina again. I will be in the same booth as last year – #107 in the tent area at the front of Liberty Hall. Click Here for discount tickets. Do you ever get stuck on a theme? For me, I often start on a subject and keep working in that subject over and over for a while. The theme this summer has been trees. Trees are such fascinating subjects for me. The term “Tree of Life;” is so literally true when you think about all of the different ways that trees support life – form the majestic eagle down to the lowly termite. I sold my latest tree to a wonderful family this past weekend in Banner Elk. Their joy and excitement with it really rejuvenated me and my excitement. They sent me a picture of it hanging in their beautiful home. Here is their tree. I am so grateful that they sent me this photo of it in it’s new home. Another tree that I recently completed was for a friend who wanted a tree with birds in it. We recently hung this piece in her kitchen. Birds are another fascination for me and I loved creating this piece for her. When I look at birds, my mind always returns to the Bible verse about God’s care for the sparrow. During the Depression, my grandfather Pope had a small store that he ran in the community. He was a very caring and generous man and he could not bear to see families going hungry so he continued to issue his neighbors food on credit even though he knew they could not pay him. Eventually he reached the end of his ability to provide for them. He was very distraught over how he would provide for his family of 8 people for whom he was the only provider. While out in the field trying to start a new field, he set a fire to burn off the brush so he could plow. One area of the field refused to burn even though it was thick with brush. When he went to investigate the problem, he found a small nest of sparrows. He fell to his knees weeping and praising the Lord because he knew that God had sent this to him as a sign that his family would be okay. Because if God could protect these few sparrows, he knew God would protect his family. I am very grateful for God’s protection and for the example of a godly grandfather who loved his family and loved his Lord. 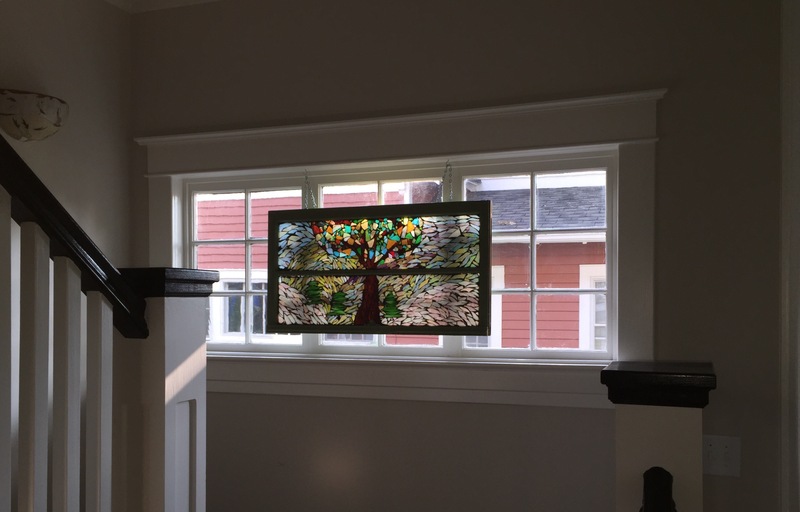 Here is Libby’s tree window. 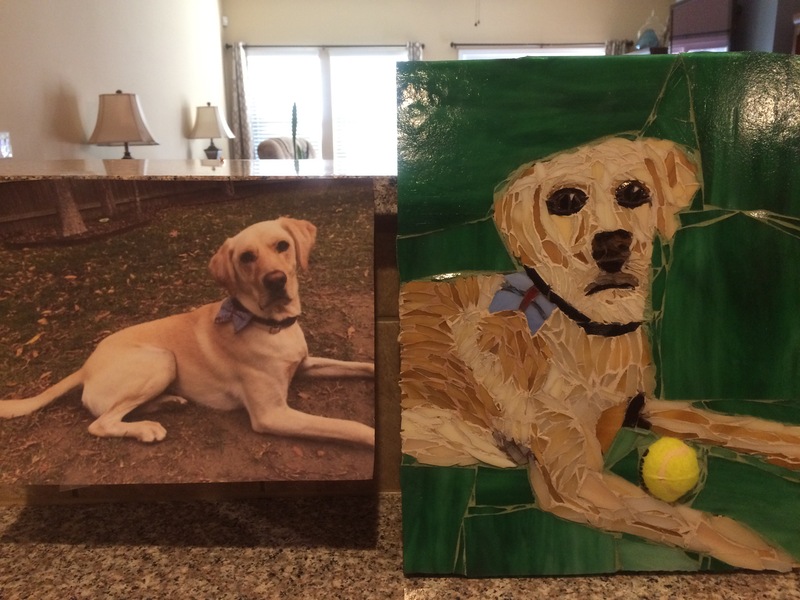 Sweet Lizzie’s custom mosaic pet portrait is finished and ready to go to her mom and dad. I hope Lizzie likes it. Her mom said she does. 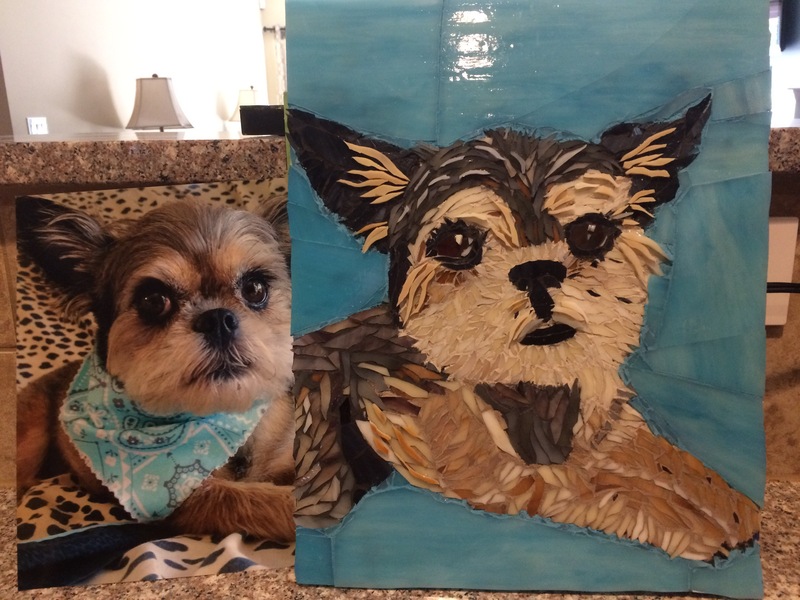 Baxter, my Lhasa apso gave it high praise. He kept barking at it thinking it was a strange dog in the house. Thanks for the vote of confidence Baxter! 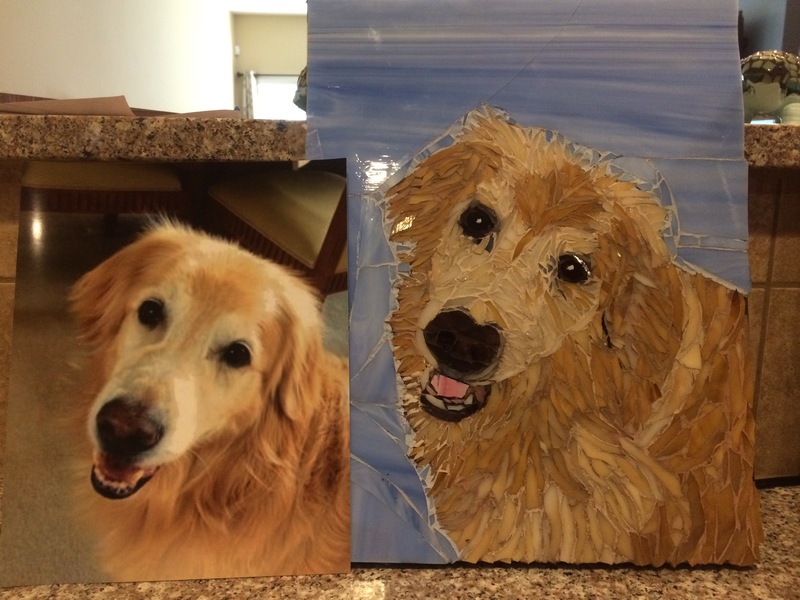 If you want a custom pet portrait of your pet, click This link.